Alex leads the I4L project. 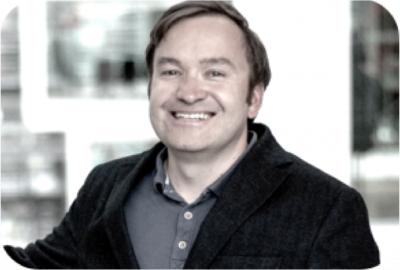 He is an Associate Professor for "Workplace Studies" at the IT University of Copenhagen and head of the research unit "Digital Work Design" at the University of Zurich. Alex worked as a researcher and consultant for over 10 years with companies such as Allianz, Airbus, BMW, Bosch, Deutsche Bahn, Schott and Swisscom. Currently, he is educating students in designing, implementing and analysing information technologies. Alex explains that implementing largely means understanding what the tools can do for the organization, and supporting users in embracing the benefits and risks of those tools. Resulting from his research, there are several frameworks e.g. a framework for implementing and evaluating Social Software and an Idea Screening framework, which supports implementation, tracking and success measurement of innovation. Alex’ practical experience and extensive research allows him to follow through with innovation in both small and large organizations. 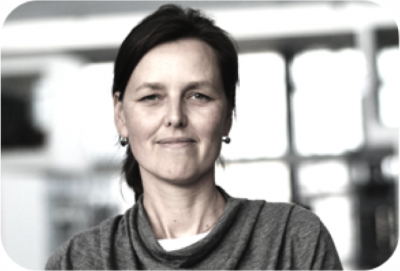 Hanne is an Associate Professor at the IT University of Copenhagen. Hanne completed her masters at CBS within business administration. Her interest on how IT supports organizational processes, particularly collaborative processes led her to do research in knowledge management and organizational learning. With a PhD from DTU (Technical University of Denmark) on malleable systems, Hanne’s focus has been on the socio-technical. She states: “My interest is in technology, and how it affects practices in companies. 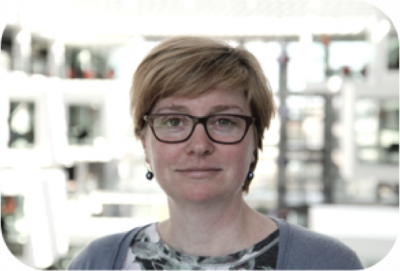 I am also interested in some of the existing design aspects affecting how those technologies will be used.” With over 17 years of experience working with Rambøll and carrying out projects in Novo Nordisk, Roskilde University Library and currently Viborg Municipal, Hanne’s experience traverses organizations in different sectors. 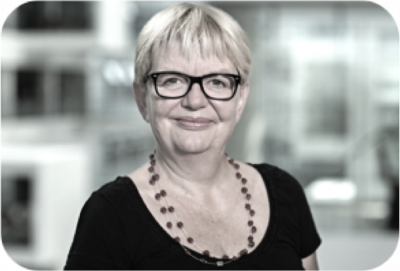 Above all, Hanne’s work has helped shook up organizations, induce innovation and to consider the importance of balancing long-term and shortsighted visions. Through non-conventional methods, her aim is to help organizations in the process of adopting an innovative mindset. Lene is an Associate Professor at the IT University of Copenhagen and Head of the professional Masters in Interaction Design. Personas, is one of Lene’s core areas. An area she’s been working on for over 20 years, being one of the first researchers to publish articles about Personas. With over 5-6 years of experience working in consulting before being hired at ITU, Lene Nielsen offers significant and valuable knowledge to industry. Equipping students with the latest knowledge on UX and agile development, Lene works with industry to help them in the process of knowing who their users and clients are, and to get this knowledge into the development phase of their research and design. 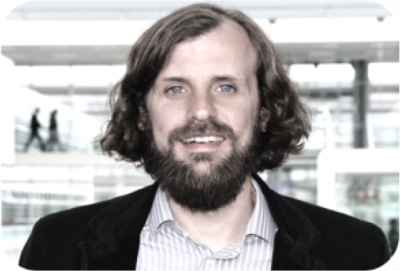 Oliver is an Associate Professor at the IT University of Copenhagen. He equips students with the latest skills in data analytics. With a master’s degree in Information Systems and a PhD from a business school, he describes himself as the ‘quantitative guy’. Industry experience as a management consultant, dealing with practical matters impeding efficient supply chain management, encouraged him to carry out research in this area. Oliver’s research on supporting data-driven decision-making now traverses numerous types of industries and organizations. Recently, he started working on the problem of extracting insights from unstructured data. He states: “Actually 80% of all data is unstructured data and its potential is largely ignored by today´s organizations.” Oliver is design-oriented and aims towards building solutions. Pia holds a masters degree in Economics from University of Copenhagen. She spent one year abroad studying at York University in Toronto. After graduating, she worked as a civil servant for the Ministry of Environment and Food. She has also worked at the Danish Embassy in Japan. Furthermore, Pia has over 5 years of experience at the British Retail Consortium, representing retailers in matters ranging from introduction of chip cards, the euro and London Spatial Development. Prior to entering the IT University of Copenhagen (ITU), she worked 10 years for the Ministry of Agriculture, Food & Fisheries. Pia joined the Finance Department at ITU in 2012, and has since the summer of 2015 been a part of the Research Support unit. The provision of administrative support in various research projects, predominantly EU projects, is at the core of Pia’s work. Her strong background in the administrative workings of larger projects, both nationally and internationally, makes her a trusted advisor and administrator for the I4L program. Raluca is a Masters Graduate from the IT University of Copenhagen, with a degree in Digital Innovation & Management. 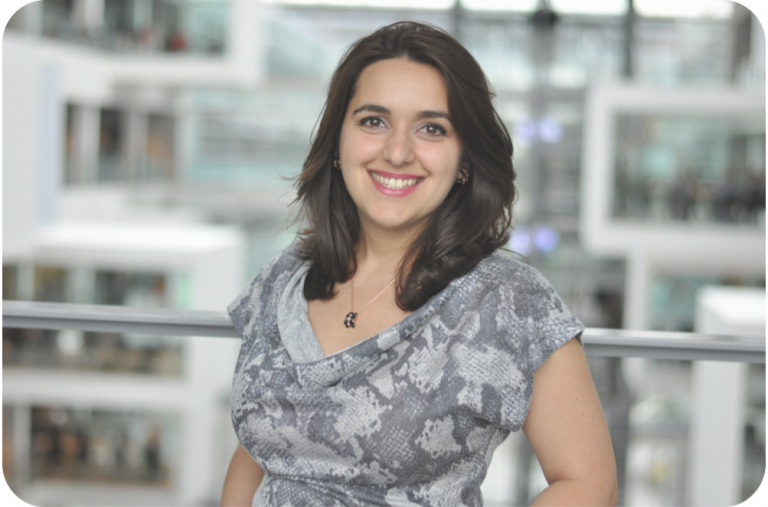 Creating value for organizations from Big Data has been one of Raluca’s core focus areas during her studies. A strong track record working with business transformation, has equipped her to take on a variety of roles such as training and communicating strategic changes to employees. First-hand encounters with challenges leaders face in the process of introducing new technologies has pushed Raluca towards evading ‘missed opportunities’. She explains: “…there is a direct link between good decisions and values. But, those that do take good decisions, they need to be trained into doing so.” Raluca’s ability to map complex organizational processes and the interplay between humans and technology adds value to the I4L program. Questions along the line of how leadership behavior is mediated by technology and how employees interact with a new system particularly occupy Raluca, whose contribution to I4L will help develop more insights into the underlying mechanisms at play in leadership in a digital economy.